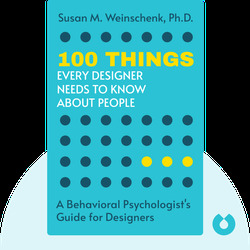 100 Things Every Designer Needs to Know About People by Susan M.
100 Things Every Designer Needs to Know About People (2011) is an essential guide for every designer. 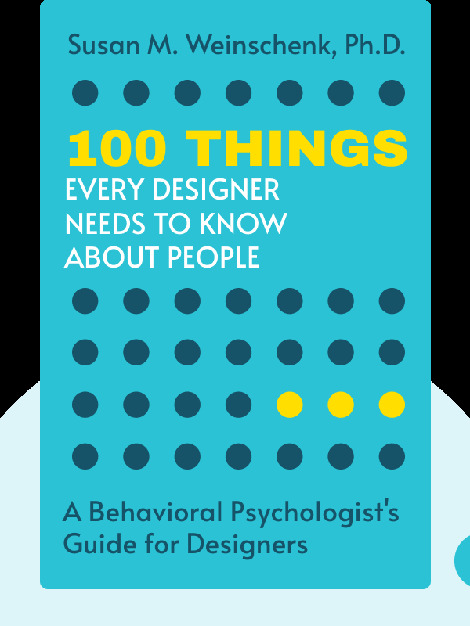 Combining research and practical examples, the book illustrates how important it is for designers to know, among many other things, how consumers make decisions and how memory is integral to good design. Susan M. Weinschenk is a behavioral psychologist who, for the last 30 years, has applied her expertise to the fields of design and user experience. She also runs the popular blog whatmakesthemclick.net. This is her second book.